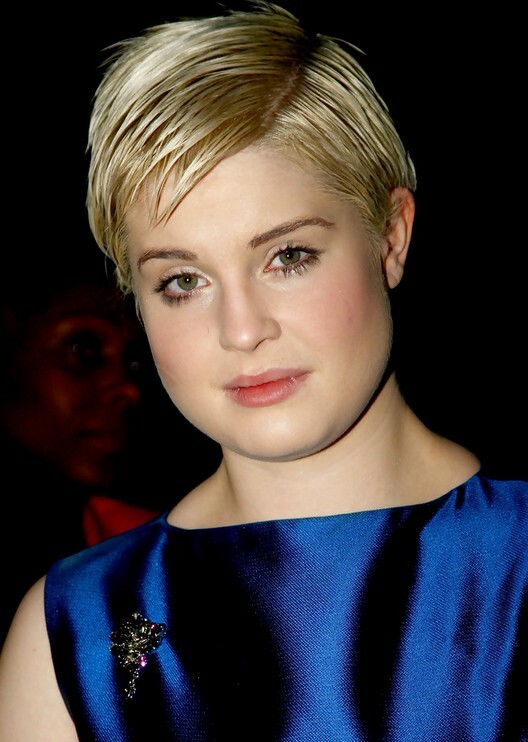 Kelly Michelle Lee Osbourne is an English singer-songwriter, actress, television presenter and fashion designer, she loves to dye her hair in different colors, some of you may think she wears wigs, but most of time, she dyed her hair in bright colors. Kelly Osbourne’s favorite hair color is purple, she is a big fan of tattoos, you can find a lot of Kelly Osbourne tattoos on our site. The ombre hair is so hot these days, does Kelly Osbourne have ever tried the ombre hair yet? Find the answer bellow! This very short, almost pixie style worn by Kelly Osbourne is a choppy, highly defined look that some of us would never be brave enough to try. 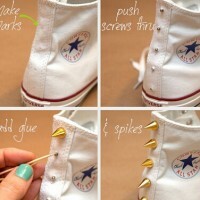 The light blonde is given texture with lots of product which gives it a sharp look that can be quite harsh. However, this short pixie cut does add height and so it is flattering to a rounder face. With tons of volume, perfect curls and hair that looks glassy and gorgeous, Kelly Osbourne opts for a feminine, classic look – except she does it in purple! This icy, platinum purple colour is difficult to wear, and Kelly makes the right choice of muted makeup with the shade. This look is really a love it or hate it style but we think Kelly looks fab. With a loose ponytail updo, perfectly sleek hair and a stunning curl to frame the face, Kelly Osbourne creates an elegant look and then she gives it a modern twist with shades of platinum blonde and warm coppery tones on the ends creating an original look that allows Kelly to be glamorous and show her unique style personality at the same time, making this great look all her own. Kelly goes a touch over the top with this fishtail braid – while the braid itself had the effortlessly messy-chic look that works so well, there is a little too much going on around the tip of the head here. The pretty curl which sweeps the forehead would be fine if it weren’t for the volume at the other side of the head making the style look too rounded. 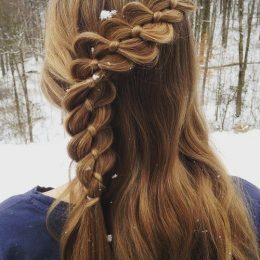 This braid is great for all seasons! With her short blonde waves swept over to one side and tucked behind her ear, Kelly Osbourne creates a modern look that is feminine and soft without being girly. The pale blonde shades contrast with her brows and eyes to create a real statement – another bold look from Kelly that she wears well and a great way to dress up a short style for a new look. Here is Kelly Osbourne’s Ombre Long Retro Curly Hairstyle. Do you like this omrbe hair color? Yes, I mean the purple. 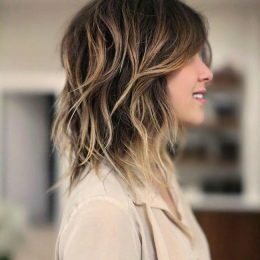 Find more details about this ombre hair. Kelly Osbourne styled her trademark lavender hair into an edgy layered bob with blunt bangs for the Art of Elysium’s Heaven Gala. 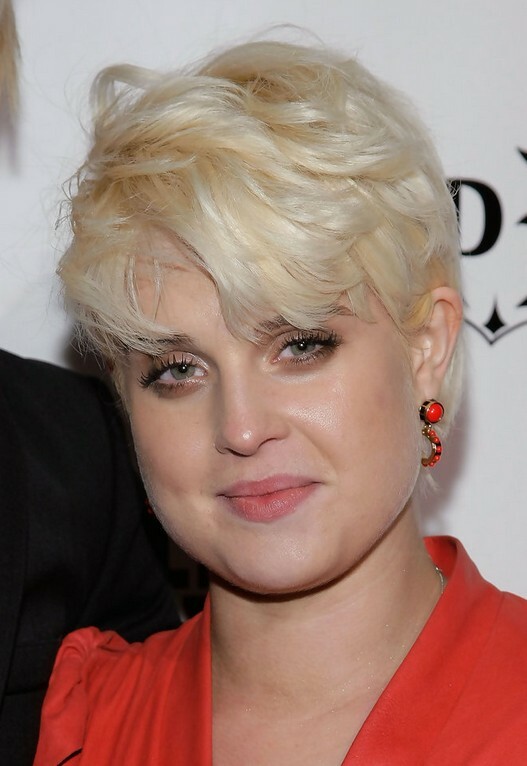 Find more Kelly Osbourne and latest hairstyle for 2016 on our site.